Mount Holyoke College’s location in the heart of the Pioneer Valley offers a wealth of exciting atttractions. The Naismith Memorial Basketball Hall of Fame, 1000 Hall of Fame Avenue, Springfield, MA – The Naismith Memorial Basketball Hall of Fame is a fantastic destination for everyone from lifelong basketball fans to families with children who are just beginning to explore one of the world’s most popular sports. 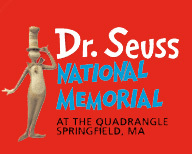 The Hall of Fame is located in “The Birthplace of Basketball,” Springfield, MA. www.hoophall.com.